If you are a late riser and a government employee living in Kashmir Valley, here is some bad news for you. 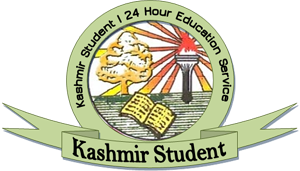 You may soon have to reach office at 8.00 am in the mornings as well placed sources have told The Kashmir Monitor that a proposal has been sent to the government recommending early morning shifts for the offices and schools. 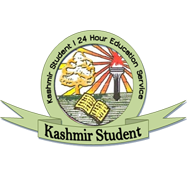 They said the authorities have received a proposal suggesting to change the timings from 8.00 am to 1.00 pm for both the governmental offices as well as the schools in the Valley on the lines of Jammu region. Sources further said the proposal has been put forward in an effort to deal with the growing traffic menace. “The idea is that by 8.00 am, the roads will be free of office and school rush. And, the roads in the afternoons too will be less congested,” sources said. If the proposal is passed by the government, it is bound to evoke a mixed response among the people of the Valley. While implementing the said timings during the winter months is practically impossible, the government may implement the proposal for the duration of durbar. But not everybody seems excited. “If the timings are changed, the move will not go well with the working women. Besides office work, we have to take care of daily household chores….8.00 am is too early….I hope no such step is taken,” a female government employee, who did not wish to be named, said. But another government employee said that the proposal would be welcome as their afternoons and evenings would practically be free from office work.” I will be back home by 2 along with my kids, the children can then rest for a while before starting their home work”, a government employee said. Another employee too said the move would be a welcome step. “I am an early riser and I hope people like me would welcome the new timings.